Great news for beauty junkies and narcotic smugglers alike: it’s now totally normal for your face wash bottle to be filled to the brim with white powder. As you may know I’m a huge fan of exfoliating with a little baking soda and water. It’s so gentle and simple! But if that’s a little low-fi for you, worry not because now you can buy a souped up (ground up?) 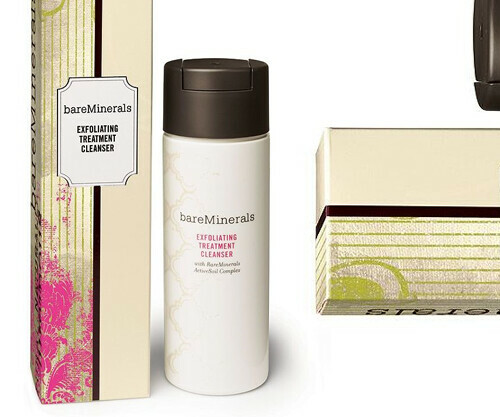 version - Bare Minerals Exfoliating Treatment Cleanser. Anyway, I like it a lot and I think the wave of the future is not having to pay for the 80%+ water that comes in most cleansing products. I wish it came in single use pouches but I guess that wouldn’t look so good in my bathroom cabinet. Does this: Powder cleanser/exfoliator that brightens skin with antioxidant power.